This beautiful miniature Floral Pattern Breakfast in Bed Tray by Bright deLights is perfect for a lazy morning lounging in bed! 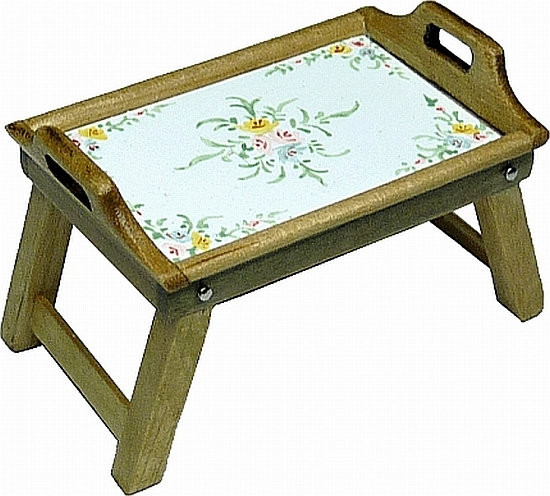 The 1/12th scale Breakfast in Bed Tray has a spring-like light pink & green floral pattern and is made of genuine light Oak finished wood. The miniature Breakfast in Bed Tray measures in at 1-1/8" tall at the handles, is 2" long at the bottom (which is the widest point) and 1-3/16" deep. Date Added: 08/02/2018 by Martha A. 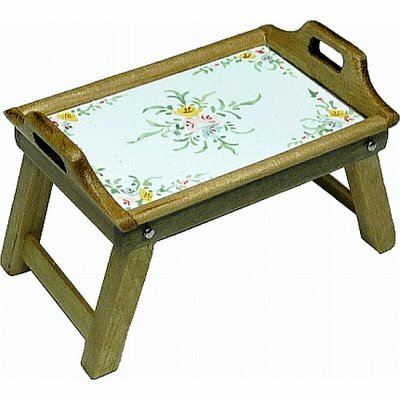 This Floral Pattern Breakfast in Bed Tray is supplied by Mary's Dollhouse Miniatures, which generally ships within 1 business day(s) of you placing your order .